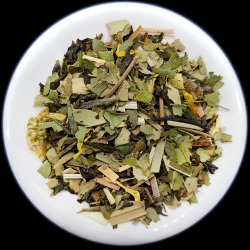 Real honey, ginger, and lemon offer the perfect combination of sweet, spicy, and sour to a herbaceous green tea base. A true feel-good blend that is rich in minerals and vitamins, and high in phytonutrients with the addition of bee pollen. Enjoy by itself or with a lemon twist. 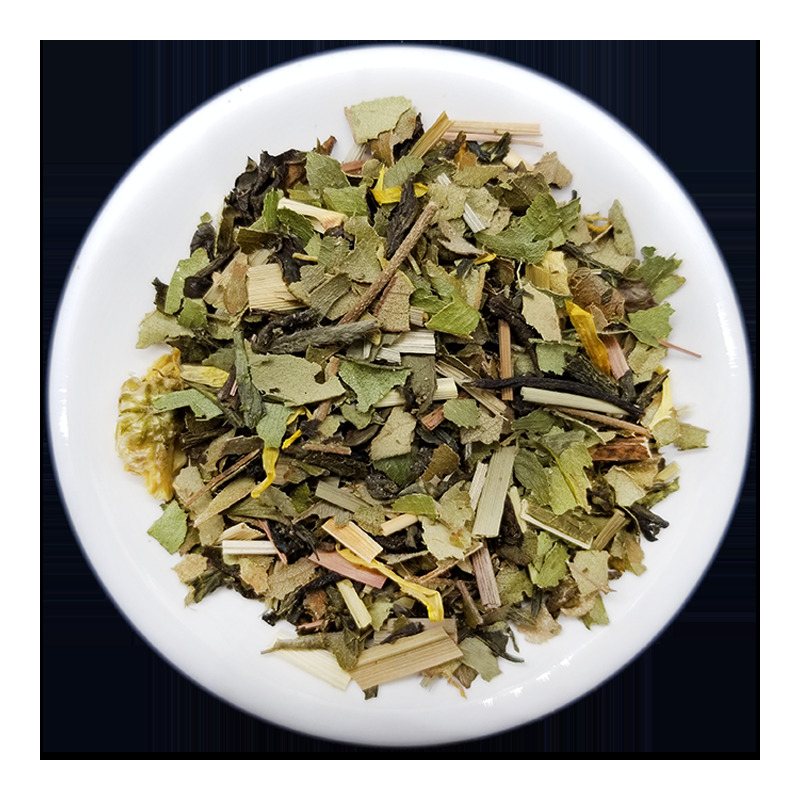 Honey Lemongrass Description Real honey, ginger, and lemon offer the perfect combination of sweet, spicy, and sour to a herbaceous green tea base. A true feel-good blend that is rich in minerals and vitamins, and high in phytonutrients with the addition of bee pollen. Enjoy by itself or with a lemon twist. Ingredients organic lemon myrtle, organic green tea, white tea, lemongrass, flavors, marigold, bee pollen, honey, chrysanthemum, lemon juice, sea salt, citric acid, malic acid. Steeping Suggestions*1½ tsp. tea*8 oz steaming (180°) water*steep for 2 - 2½ minutes Iced Tea Recipe (8 servings)¼ cup tea, 8 cups cold water, steep for 30-40 minutes in fridge, sweeten to taste. Keep refrigerated and consume within 3 days.